Can I use a SMPTE Machine or Binloop with an AMX or other controller? Possibly. The SMPTE Machine can be controlled in 3 possible ways - RS-232, Midi, or Contact Closures. To control the SMPTE Machine via RS-232, your controller must be able to speak 9-bit RS-232 (you should contact your controller's manufacturer to verify that it can do so - 9-Bit control is also referred to as 'Mark and Space Parity'). If your device can speak 9-bit, you may be able to control the SMPTE Machine or Binloop; consult the Digital Binloop manual's SMPTE Controller Specification for command details. If you are able to control the SMPTE Machine via 9-bit, you will be able to Start, Stop and Set timecode. However, your controller probably will not be able to process the SMPTE Trigger commands that the Binloop/SMPTE Machine is sending.  This is because the commands that the unit is sending are Alcorn 9-bit 'Start Sequence' commands which are intended to speak to an Alcorn McBride controller. Therefore, you will probably not find these commands to be useful. However, if your intention is to use the SMPTE Machine or Binloop to Generate timecode for other devices (lighting, sound, animation controllers, etc.) you will be OK. Via Midi, you can also perform the same functionality (Start SMPTE, Stop SMPTE, Set SMPTE, etc.). Please consult the Midi Command set in the Digital Binloop User's Guide for the command reference. Via Contact Closures, you can Start, Stop or Pause SMPTE. If you are starting SMPTE, you will need to pre-configure the Start Time using the Binloop.exe software. See the Show Control User's Guide or Digital Binloop User's Guide for connector pinout. How do I debug my Product File?